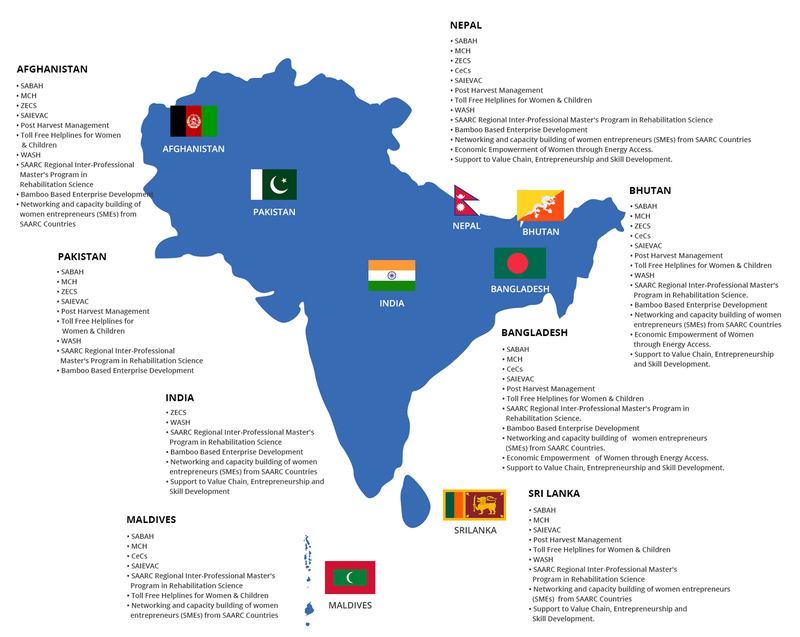 In 1996, a first funding mechanism was created in SAARC, ‘South Asian Development Fund (SADF), merging the SAARC Fund for Regional Projects (SFRP) and the SAARC Regional Fund. SADF objectives were to support industrial development, poverty alleviation, protection of environment, institutional/human resource development and promotion of social and infrastructure development projects in the SAARC region. A primary reason for establishing SDF was that the existing South Asian Development Fund (SADF) was found to be inadequate i.e. in terms of required quantum of funds and its limited scope of work. In order to avoid proliferation of funds, the SAARC Financial Experts (September 2005) looked at the entire gamut of issues relating to funding of SAARC projects and programmes; and, amongst others, agreed that in lieu of proliferating sectorial financing mechanisms, the SADF be reconstituted into the SAARC Development Fund (SDF). The Thirteenth SAARC Summit (Dhaka, 12-13 November 2005) finally decided to reconstitute the SADF into SDF to serve as the “umbrella financial mechanism” for all SAARC projects and programmes.